The first three novels of the best selling IN HER NAME science fiction & fantasy saga: EMPIRE, CONFEDERATION, and FINAL BATTLE for £1.69 . . . 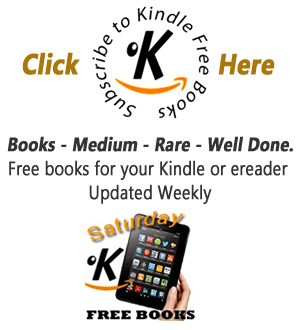 I'll start off by saying that I have over 100 books on my kindle, and not once have I been bothered to make a review, not due to a lack of quality within the titles themselves, but mainly due to the book already being well known. 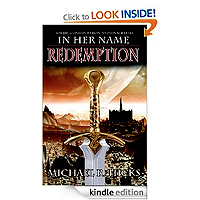 With Mr. Hicks' 'In Her Name' series, I have come here to shamelessly implore those who have come on this page to download (or buy paperback) the entire series without a seconds thought! Personally, I would suggest you do not read the full blurb as there are spoilers. I won't give a narrative outline either because that is not the purpose of this review. Hicks' writing is simply excellent. The Characters are very much believable but also loveable and loath-able alike! As the story was concluding I couldn't help but hope the kindle was lying about how close I was to finishing. The story is unique in my opinion within the genre. This was an incredibly refreshing find, Hicks was a genius to give the first one (Empire) away for free as he has sucked me in now for the entire series! I hope he really does find a large audience, he deserves it. I was lucky, as Michael Hicks wrote this trilogy first, and the 'In Her Name: The Last War' trilogy second, but I read the Last War trilogy before coming to devour this one. This trilogy is set 100 years after the first, and so I got to read them in story chronological order, not that that matters, although I would say it is a must within each trilogy. Another fantastic story, deftly woven, with more of the Kreelan culture explained than in 'The Last War' trilogy, via the training of a young human Reza, into the Kreelan "Way". The change of heart, mind and soul of Reza over the years is believable and real, as is the cross-species love story. The human politics going on, in human space, with truly venal baddies is also believable and gripping. The fact that you get all three books together in one is fabulous, as you don't have to faff around to buy the next book, you just keep on reading, which is what you want to do. My advice - start this book, in the morning, at the weekend - when you have no plans to go out, that day or that night. Ensure you have supplies in already. Why? Because once you start, you won't want to put it down, until you have read all the way through to the very last word. And then you'll wish it hadn't finished. Yes, it really is that good.